Surprisingly, this might be one of my fave reads of the year. Surprisingly because I had some issues, but in the end, I really enjoyed it, for fantasy fans, it can be a fun ride. Do you like fantasy? If so, that’s good, because I think that might be necessary. This is based in a magical world with wizards, the fey, trolls, and other magical beings. There is little-to-no-explanation or exposition about the world and all the magical beings, so you have to either go in with some idea of fairies and incubi, or just take a relaxed “go with the flow” feeling. What this reminded me of? Argent’s style, especially with its crowds of characters, reminded me a lot of Diana Wynne Jones’ books. Jones, who wrote a truckload of awesome YA fantasy books, also would often toss you into the deep end of the pool with little explanation, and you just had to swim through her imagination and magical worlds. What was harder for me? This book is CROWDED. Sebastian has, like, nine siblings? Plus his parents, the kids of some siblings, the partners of other siblings, his romantic interest, the prince (who is gloriously persistent against Sebastian’s grouchiness), the prince’s parents, the castle guards, some villains, LOTS of people. It took a while to sort through, and because there are a lot, I didn’t always feel connected, and at times, they just felt like listed names. I sound like one of the heartless villains, but if I could have removed 3-4 of Sebastian’s siblings, I would have been happier, although his family would not since even when they’re devising poisons for each other, they really do love each other. If you’re a big fantasy fan, you may also really dig this. Heads-up that it can be confusing, and there are a lot of people running around, but within it, there’s a sweet romance about a young magical man, and his tenacious, ever hopeful prince. Would I read more? Well, my jury is out. 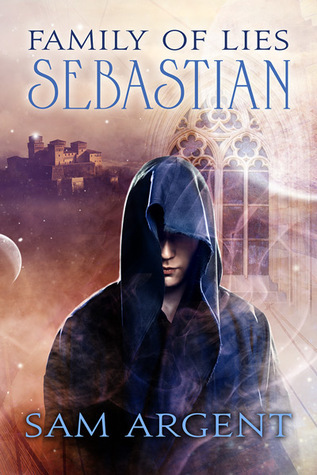 Sebastian was definitely my fave character, so I would be up for reading more with him, but I didn’t feel much for other potential romantic leads. I think Argent did a fun job and is an author I want to keep tabs on. You may also dig this one too. This entry was posted on April 20, 2015 by TracyTG in Fantasy / Fairy Tale, Reviewer: Tracy and tagged 4.5 Stars, dreamspinner, Sam Argent.